A no call, no show absence is a serious offense. When an employee fails to show up for work and doesn’t bother letting anyone know, it can seriously affect the other employees and even the business as a whole. If employees are left scrambling to cover the no call, no show employee, that can affect the performance of the entire shift and lead to a poor customer experience. So how do you deal with a no call, no show employee — especially one who does it again and again? We’re here to help you answer that question. We’ll show you how you can set up a process to deal with the offender and how you can make it simpler to find a substitute for the no call, no show employee. Establishing attendance rules is vital for controlling (and decreasing) the incidences of no call, no show employees in your business. 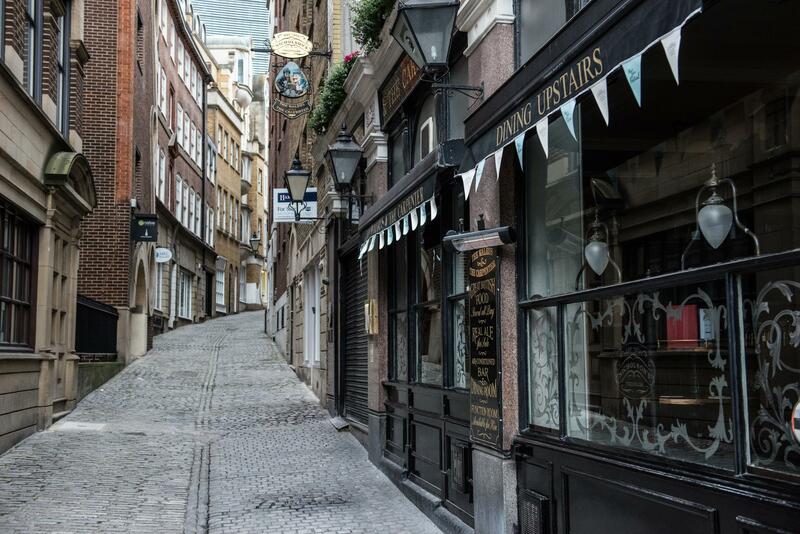 At first, when your business is small, you may believe you don’t need attendance rules. But as your business begins to grow and more employees join your team, a set attendance policy helps things run smoothly and keeps your business moving toward success. If you’re having trouble creating effective and equitable attendance rules, below are eight key points to keep in mind. Define what it means to be absent and what it means to be tardy. Define no call, no show. Set up a method for tracking attendance. Treat your employees how you want to be treated. Clarify the difference between excused and unexcused absences. Establish a procedure for requesting an absence. Set realistic disciplinary actions for no call, no show (unexcused) absences. When you include attendance rules in your employee handbook, everyone will be clear on what it means to be absent and the consequences that will result. Once you’ve got your attendance rules in place, you’re ready to deal with the no call, no show absence policy directly. Every business should have policies in place to deal with absences. Without such policies, employees can start to take advantage of the system. This can result in significant scheduling problems for your business. One of the best ways to deal with no call, no show problems like this is to create a specific policy in your employee handbook. Your no call, no show policy should include the proper way for handling emergencies and time-off requests. It should then define what constitutes a no call, no show offense so your employees know exactly what it is. Finally, this policy should list the possible consequences of not telling anyone that you’re not coming in to work. We also recommend that you get a lawyer who is well-versed in your state’s employment laws to review your policy. That way you can be sure that all your bases are covered legally in case you have to deal with this type of issue. After you’ve established your no call, no show policy, make sure everyone — current employees and new hires alike — understands what’s required of them and has signed a document that confirms their agreement. This is an important step in dealing with no call, no show problems and should not be overlooked. 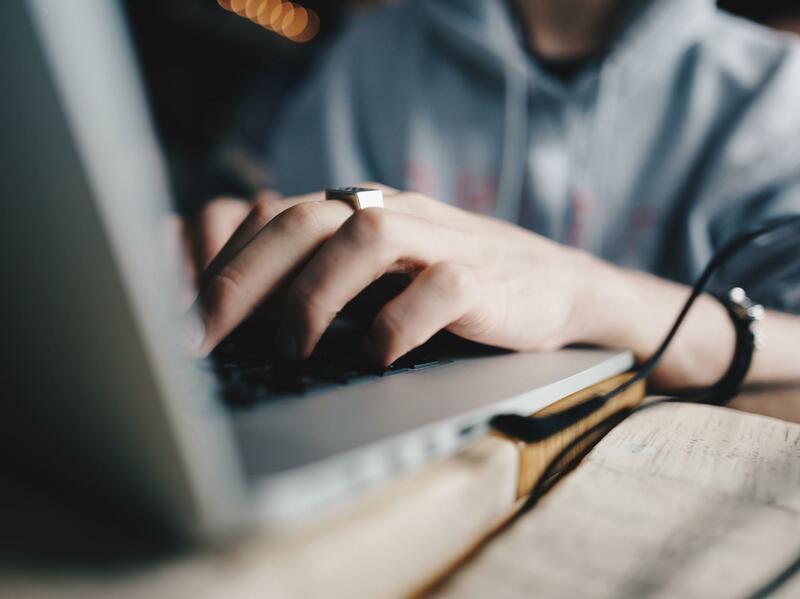 It’s not enough to simply write the policy in your employee handbook or send out an email. You need to have your employees confirm that they’ve read the rules and don’t have any questions. You can avoid these misunderstandings by highlighting your no call, no show policy during your onboarding program for new employees. Be sure to ask trainees if they have any questions and then address any issues that may come up. Finally, have them sign a document stating that they were given the opportunity to ask questions and that they fully understand this specific policy. If you’re instituting this policy after operating without it, be sure to have a meeting for your existing employees. Give them the opportunity to ask questions and then require that they sign off on the policy. Consistency is critical when enforcing your no call, no show policy. Some businesses have a zero-tolerance policy for these issues. Some have a set of penalties that culminate with termination. Whatever you choose as consequences, it’s important that you apply those consequences to everyone — even if the offender is an otherwise stellar employee. We recommend giving employees at least two chances. No two emergencies are the same and there may have been certain situations that made it impossible for the employee to get to work or even call. Regardless of the explanation, after the first offense, sit down with the employee and discuss how their actions affected the morale and cohesion of the team. Be sure to stress how their absence affected the business as a whole. As a consequence of that first no call, no show, you might also consider applying a penalty of some kind. You could reduce the employee’s pay for the next shift worked, or reduce their seniority. It’s also important to warn the employee that the next offense will result in termination (if that’s your policy). If the employee fails to show up for work again without telling anyone, let that employee go. If you still have a problem after setting up your no call, no show policy, making sure everyone understands it, and enforcing the policy consistently, it’s time to improve your employee scheduling process. Even if your business hasn’t encountered a no call, no show problem yet, you can prevent one from developing by examining the way you schedule employees. Does your current method of scheduling make it easy for employees to request time off? Does your scheduling give employees some input into the times they work? 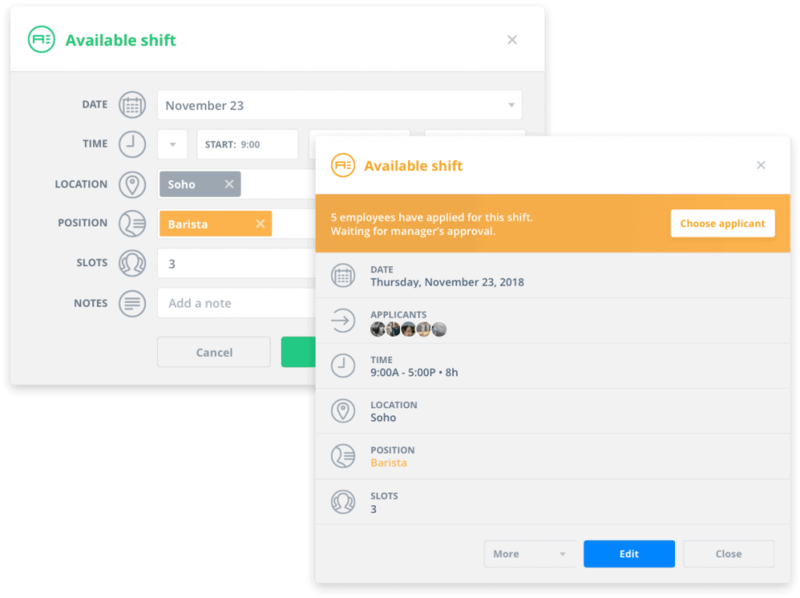 Does your scheduling system make it easy for employees to indicate availability? If the answer to any of these questions is no, your employees may see it as an unnecessary hassle and just decide that skipping work is easier. We’ve developed Sling to solve these problems. Sling puts all your scheduling activity in the cloud, which means that you and your team can access it anytime, anywhere. Employees can request time off, indicate availability, and even find their own substitute, all online with one, easy-to-use application. This greatly simplifies the scheduling process for you and your employees. And when a process like requesting time off or changing availability is simple, employees will be more likely to adhere to it even if emergencies arise. Now that you’ve got a policy and process in place, you can work to reduce no call, no shows while dealing with these problems effectively. But what are your other employees to do when an employee doesn’t show up? Try to work shorthanded? That can be a recipe for disaster. Thankfully, preventing this disaster is simple. Instead of allowing everyone else to suffer because of this one employee, we suggest establishing an on-call list that you can turn to should someone fail to show up. This on-call list should be made up of regular employees who are willing to fill in on short notice should the need arise. Some employees almost always want more hours, but if you’re having problems getting people to volunteer to be on that list, you might consider offering a twenty-five-cent per hour raise for all emergency hours worked. Even a small bump in pay can motivate an employee to drop whatever they were doing and come in to cover for a no call, no show employee. Getting to know your employees is a great way to prevent no call, no show incidents from happening. These types of absences are often the result of a build-up of factors both at home and at work. Perhaps the employee is having problems with a family member and is feeling stressed. Perhaps the employee has a problem with a certain person at work and is feeling disengaged. You won’t know unless you talk to your employees. Once you do know, though, you can take steps to help them and avoid no call, no show absences. If they’re having problems at home, maybe the employee needs to go from full-time to part-time in order to take care of the issue. By giving the employee with the problem a chance to take care of things on his end, you avoid the possibility that the stress will build up and he just won’t show up one day. If an employee is having problems at work, you need to know about it. Issues left to fester can pile up and make the employee feel unappreciated or even persecuted. That can lead them to feel that a no call, no show absence is justified to get your attention. Head these issues off at the pass by getting to know your employees and reassuring them that they can come to you with any problems. After all your hard work, you still may have to deal with a no call, no show absence from time to time. That’s just what being a manager is all about. Resist the urge to get angry right away. Remember, your employee knows the rules, so there may be a legitimate reason that they couldn’t make it to work or call to let you know. Don’t jump to conclusions and assume that they’re just doing it to be spiteful or that they’re a bad employee. That’s just a recipe for disaster. Instead, stay calm, think positive, and focus on finding a substitute for the absent employee so that the shift is covered. Once you’ve done that, you can move on to find out why the employee didn’t call and didn’t show up for work. After a set amount of time (that you enumerate in your no call, no show policy), call the employee to make sure they’re ok. They may be dealing with an emergency (or in an emergency themselves) and forgot to call. When you do call, approach it as if you were calling the employee to find out if they need help. This will allow you to keep your anger in check. If the employee has no legitimate excuse, you can be angry (up to a point). But for now, you simply want to establish that the employee isn’t hurt or in trouble in some way. Even if your call goes to voicemail, leave a simple message asking the employee to call you back. Here’s a sample message you can leave. Tailor it to fit your needs. Not only does this show that you care about your employees, but it also helps to strengthen your employee/employer relationship. In some cases, you may want to ask the employee to bring you a signed note showing that they were where they said they were when they weren’t on their shift. This is another requirement that should be included in your no call, no show policy. Emergencies are understandable. Even no call, no show absences are permitted under certain circumstances. But lying about an emergency (i.e., not having a note proving where you were) is unacceptable. You should not tolerate this type of behavior from your employees. Your business’ success is directly dependent on how you manage your employees. One bad apple can spoil the whole bunch. Don’t let a no call, no show employee affect the team or your business. Put a policy in place that establishes rules for absences and then make plans to cover employees that don’t show up for work. That way, all your bases will be covered and you won’t be left short-staffed during an extremely busy shift. The easiest way to keep track of all this is to use the right tool for the job: the Sling app. Not only does Sling help you avoid the difficulties associated with scheduling multiple people (e.g., double-bookings and no call, no show absences), but it also helps you find substitutes when problems do arise. With Sling’s powerful messaging system, you can broadcast any message (like an open shift) to all your employees with the touch of a button. That means you can spend more time running your business instead of trying to find a replacement for a truant employee. To streamline your scheduling process and combat no call, no show absences, check out our free employee scheduling platform at GetSling.com right now. 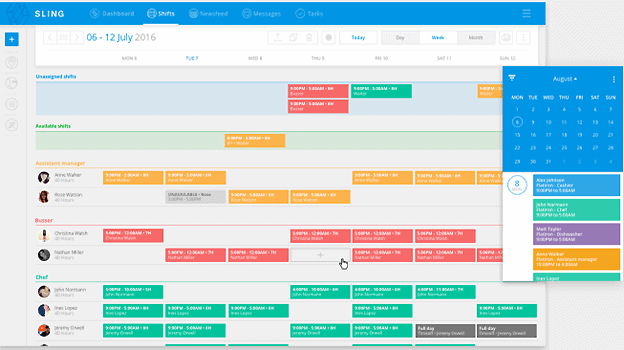 Sling is the easiest way to schedule and communicate with your employees. Schedule faster, communicate better, get things done. Copyright © 2014 - 2019. Sling, Inc. All rights reserved. Designed in Iceland. Made around the world.